You may not know Jason. But you probably should know Jason. Jason Kosarek is our very own resident Web Strategy Consultant/Thought Leader extraordinaire. Need a website built for leads? Talk to Jason. 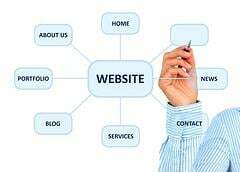 Wondering whether you are missing opportunities on your existing website? Jason is your man. Oh, and if you happen to really, really like soccer - you will want to have a conversation with Jason. Jason's latest e-book, How To Plan A Website That Works, is a step-by-step guide to planning a successful and effective website. Download it. Share it with your friends. Laminate it. More importantly, use it to start a conversation with your boss, your team, or your client on what it really takes to build a website aligned with your corporate brand and goals and a website that current and future customers will want to visit over and over again. Of course, you can always just speak with Jason directly. You know, if you're not the downloading type.